Just select your satellite from the drop down menu and enter your location – city or zip code – in the box. The map and details will automatically update with the required elevation, azimuth and LNB skew for your satellite dish. 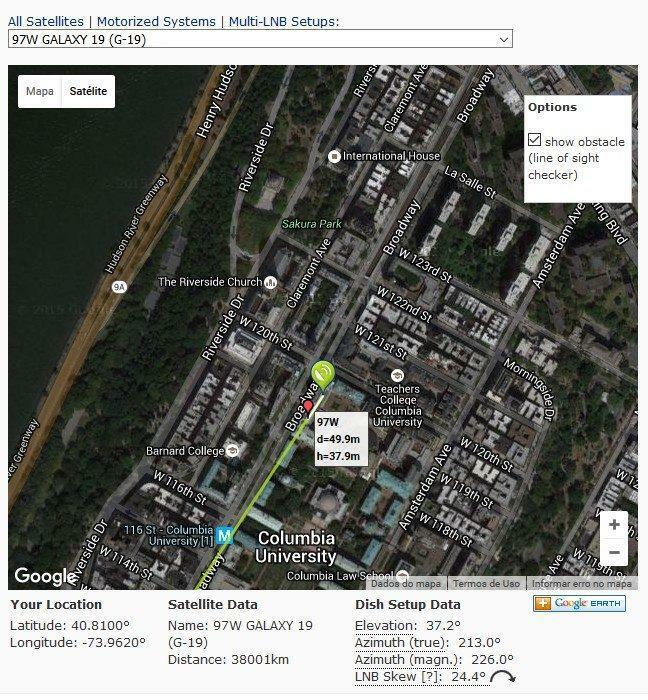 Drag the map or marker to pinpoint your location.